Cuzco: This popular program takes you to the most important Inca sites of Cuzco, the Sacred Valley & Machu Picchu. From the archaeological ruins of Cuzco including Sacsayhuaman Kenko, Pucapucara & Tambomachay. 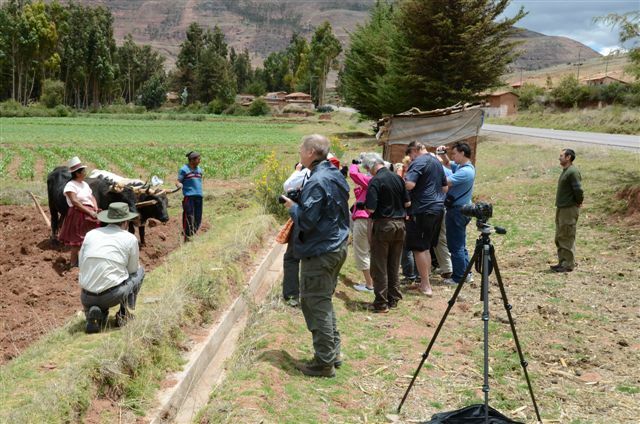 A trip to the famous Sacred Valley, Pisac Market and the massive fortress of Ollantaytambo. A trip would not complete without the scenic train ride to the fabled of Machu Picchu site hidden deep in the Andean mountain. Activities: Cultural tours and exploring Machu Picchu. Accommodations: Accommodations in basic hotels. Upon your Arrival in Cuzco, the ancient capital of the Incas, we greet you at the airport and transfer you to the hotel, brief orientation and a cup of traditional coca tea to assist in the acclimation to the 11300 ft. in the Inca Capital of Cuzco. In the afternoon City tour of Cuzco, This tour include: the Colonial and Inca sites of The Cathedral, Qoricancha (temple of the Sun, the most important of Inca ceremonial sites). Later you will continue to the most important site of Sacsayhuaman, Tambomachay, Qenqo and Puca Pucara. We return to the hotel. Note: Flights can be arranged, but must be requested at time of booking. Upgrades and Hiram Bingham train and private tours available please contact us for details. We guarantee that you will be oriented and fully assisted. Etiquetado affordable peru tours, Cusco, Cuzco, cuzco affordable, peru tours.